Sally Ludwig and Chris Mills from Transition Guelph were back in the studio on April 24 to talk about Earth Day, and the upcoming visit to Guelph by U.S.-based community advocate Tina Clarke. 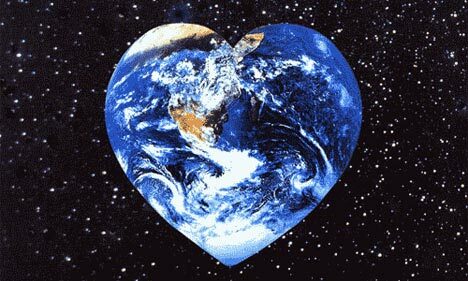 First launched as an environmental awareness event in the United States in 1970, Earth Day (April 22) is now a part of the mainstream with events taking place throughout the week worldwide. Earth Day is the perfect time to make your own commitment to helping the environment. In partnership with Transition Guelph we’d like to collect your Earth Day resolutions or intentions. How did you mark Earth Day? How do you plan to make a difference to help the planet? Send us your comments. Tina Clarke will be in Guelph on Monday April 26 to talk about Community Resilience and Social Equity in Changing Times. The presentation will focus on how Guelph can respond to the triple challenge of rising energy prices, climate change disruptions and economic instability while also improving social justice. Tina will outline the problems and suggest some useful strategies to cope with these threats as well as provide real word examples of successful community implementation. The presentation takes place at 7.00 p.m. at Harcourt Memorial United Church. Suggested donation: $10 waged, $5 unwaged. Also, check out Transition Guelph’s amazingly informative website at www.transitionguelph.org if you haven’t already done so. In the second hour, community heritage activist Susan Ratcliffe joined us for a fun and wide-ranging conversation about the importance of protecting and celebrating the heritage and life of the city we call home and featuring Doors Open Guelph (taking place April 24) and the Guelph Arts Council Historical Walking Tours and Jane’s Walk. 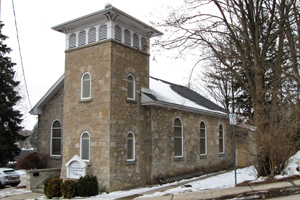 The Guelph Arts Council Historical Walking Tours are offered on selected Sundays between April 25 and October 17, and trace Guelph’s heritage through its architecture, its people, and the stories that contribute to this City’s unique character. There are normally six walking tours, each of which explores a different area of historic Guelph, although, this year, Where Guelph Began, which encircles the original Market Square area laid out by John Galt in 1827, will not be offered because of construction and road closures in that area of the City. Ward One Guelph which covers the area southeast of the downtown, between the Speed and Eramosa Rivers, and features a diversity of historic architecture and the diversity of peoples who formed Guelph. 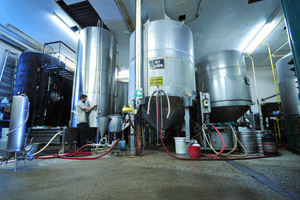 All tours start at 2 p.m. from different locations. They take about two hours to complete and cost $3 per person. Tour booklets are available for $5 each at the Guelph Arts Council office and several other retail locations. For other information, please contact the Guelph Arts Council office at 147 Wyndham Street North, Suite 404, Guelph, or phone (519) 836-3280; Fax (519) 766-9212; email gac@sentex.net. Jane’s Walk takes place on the weekend of May 1 – 2. Created by the Centre for City Ecology (CCE), Jane’s Walk celebrates the legacy and ideas of urban activist and writer Jane Jacobs by putting citizens in touch with their environment and each other. There are currently 18 Jane’s Walks planned for Guelph. These free guided walks led by community members take place throughout each day beginning at 10 a.m. Check out the Jane’s Walks for Guelph HERE. Mark Graham and Orville Johnson, Their Brains Were Small And They Died from The Kings Of Mongrel Folk? We have a busy Royal City Rag planned for April 24. In the first hour we’ll welcome back into the studio Sally Ludwig and Chris Mills from Transition Guelph to talk about some upcoming activities including the presentation by U.S.-based community advocate Tina Clarke on Community Resilience and Social Equity in Changing Times taking place on Monday April 26, 7.00 p.m. at Harcourt Memorial United Church. Suggested donation: $10 waged, $5 unwaged. Sponsored by Transition Guelph with Harcourt Justice and Outreach Committee, Kairos Guelph, and Midwestern Ontario Regional Green Jobs Strategy, the presentation will focus on how Guelph can respond to the triple challenge of rising energy prices, climate change disruptions and economic instability while also improving social justice? This is a very important question and a serious issue especially when you also consider that Guelph under, the provincial growth plan Places to Grow, will also have to contend with a massive increase in population as it goes from 105, 000 to 165,000 by 2031. Tina will outline the problems and suggest some useful strategies to cope with these threats as well as provide real word examples of successful community implementation. Sounds like it will be a great presentation. We have some huge issues to deal with if we are to have a sustainable future. Check out Transition Guelph’s amazingly informative website at www.transitionguelph.org if you haven’t already done so. In the second hour, community heritage activist Susan Ratcliffe will be joining us to chat about both Doors Open Guelph and Jane’s Walk. Doors Open Guelph takes place this Saturday, April 24. Between 10 a.m. and 4 p.m., several of Guelph’s finest buildings, many of which are not normally open to the public, will open their doors for free public tours. 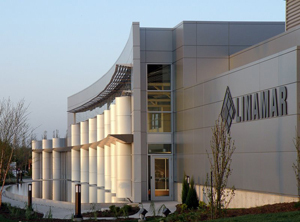 Guided tours will be available at each site, led by knowledgeable tour guides who will talk about the site’s history and important architectural features. Guides will also pass on some of the interesting stories associated with each site. Check out all the sites on the tour HERE. For more information about the sites and tips on how best to plan and enjoy the day, pick up a Doors Open Guelph 2010 brochure at various locations around the City (e.g Visitor Information Centre, Guelph Public Library, Guelph Civic Museum) or visit the Doors Open Guelph website at www.guelpharts.ca/doorsopenguelph; or contact Guelph Arts Council by telephone at (519) 836-3280, or e-mail gac@sentex.net. There are currently 12 Jane’s Walks planned for Guelph. These free guided walks led by community members take place throughout the day beginning at 10 a.m. Check out the Jane’s Walks for Guelph HERE. 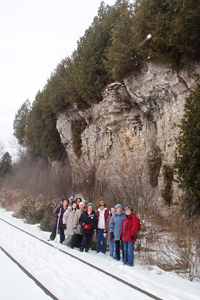 A joint undertaking of Guelph Arts Council, Heritage Guelph and City of Guelph Tourism Services, Doors Open Guelph 2010 is partnering for the first time with the Guelph Hiking Club which is offering its first Trails Open Hike to coincide with Doors Open. The Guelph event is also part of Doors Open Ontario, an Ontario Heritage Trust province-wide initiative to celebrate community heritage. Once again, the Guelph event has the distinction of launching the Ontario Doors Open season, among the first of more than 50 such events across the province. 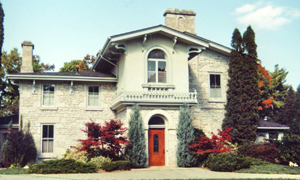 On April 25 between 10 a.m. and 4 p.m. you are invited to step inside some of Guelph’s finest heritage buildings, many of which are not normally open to the public. Once again, owners and managers of public buildings, churches, businesses and private homes have generously agreed to “open their doors” for guided tours. No registration is required, and it’s free! A joint undertaking of Guelph Arts Council, Heritage Guelph and City of Guelph Tourism, Doors Open Guelph 2009 is also part of part of Doors Open Ontario, an Ontario Heritage Trust province-wide initiative to celebrate community heritage. 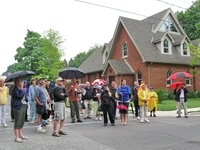 The Guelph event has the distinction of being the first in some 50 Doors Open events taking place across Ontario during 2009. Join us to celebrate and increase awareness of this city’s tremendously rich architectural and historical heritage. This serene space, formerly concrete fur storage, is now a hot yoga studio and event space with a roof-top patio. Its rough limestone walls and original maple floor joists are enhanced with subtle lighting and natural elements like river stones. Rough Muskoka hemlock pillars form supporting beams in the change rooms. 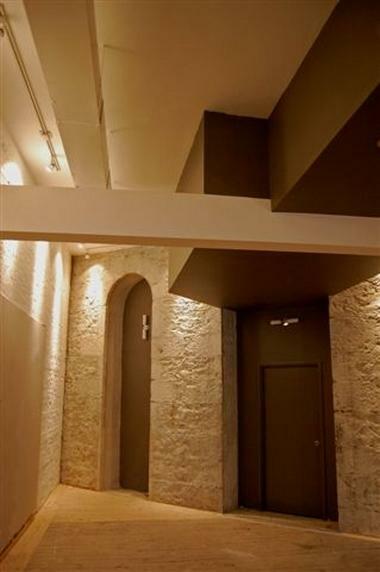 The original ashlar limestone walls with arched window openings have been revealed at the back of the studio. 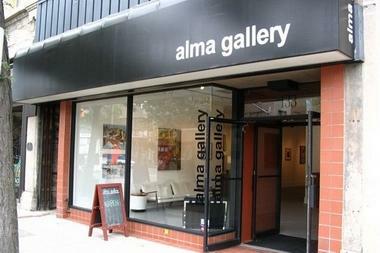 Located in the historic Alma Block (1868), this vibrant contemporary art gallery opened in 2008. It offers changing exhibitions featuring a diversity of fine art work produced by artists from the region and beyond. For Doors Open Guelph 2009, the gallery is presenting a special exhibition highlighting significant Guelph architecture as seen through the eyes of local artists working in different media. Just completed, Guelph’s New City Hall is a fine example of balance and harmony between new architecture and old. In addition to much-needed new office and program spaces, the building incorporates both the restored Provincial Winter Fair heritage wall (1900) as part of the front façade, and the old Fire Hall as an anchor for the northwest corner of the new structure. 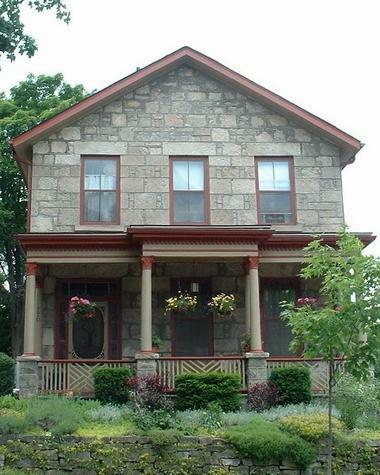 This Neo-Classical Vernacular two-storey limestone house was built c. 1875, although its deeds can be traced back to the Canada Company and Guelph’s beginnings. 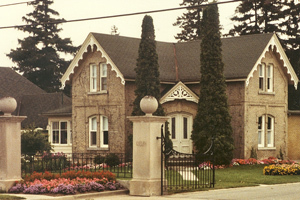 For many years, the house was owned by George Hastings (Guelph mayor 1909-10) and family. 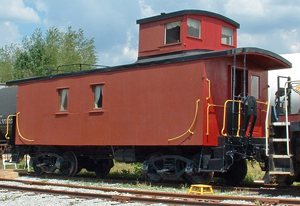 It was purchased by the current owners in 1989, and carefully restored, including such features as the wooden soffits and fascia. Built c.1930, this building features elements of pavilion-style architecture, with its upturned eaves and wooden brackets. The site on which it is located has a long association with the river, including a boat rental operation under the proprietorship of members of opera singer’s Edward Johnson’s family. 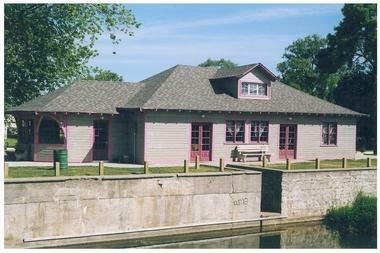 In 1997, through a public/private partnership, the building was renovated for use as an ice-cream parlour. 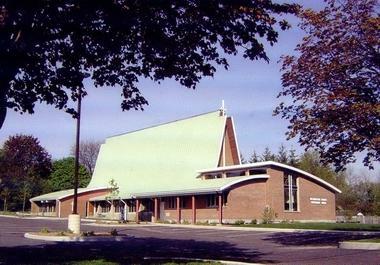 In 1952 a group of dedicated individuals bought land for a Guelph Ukrainian Catholic church which was subsequently constructed 1954-1963 to the designs of Toronto architect Ewhen Gren. 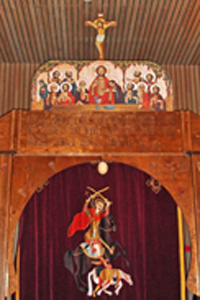 Nine patrons and an active congregation have ensured the growth and prosperity of the parish. 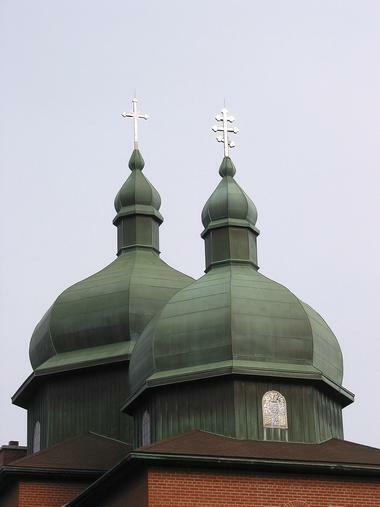 The three onion domes are a local landmark, and the liturgical art of iconography beautifies the interior. This building represents the redevelopment of a former manufacturing business into a community theatre. 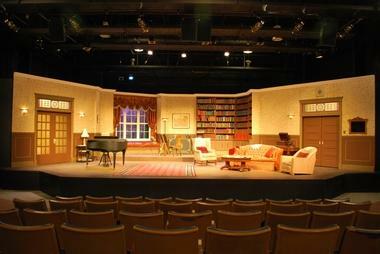 Begun in 1997, the conversion, carried out largely by volunteers, has provided Guelph Little Theatre with a 288-seat auditorium for the mounting of its theatrical productions as well as a workshop for the building and storing of set materials, a costume room, and a lobby for welcoming patrons. Designed by local architect Richard Pagani, the graceful sanctuary of this church is a product of the 1950s-60s infatuation with custom-shaped, laminated-wood roof beams. In 2003, another local architect, J. David McAuley, complemented the concave curves of the sanctuary roof in his design for a handsome addition, roofed with convex curves. 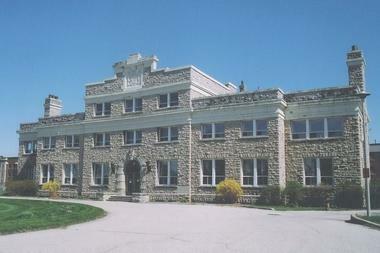 When it was built as the Provincial Penitentiary in 1909, this facility was regarded as the best equipped gaol in Canada. 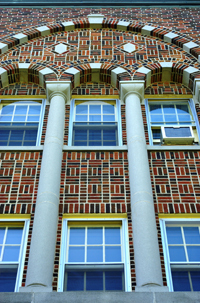 Architect John Lyle chose a restrained form of Classicism for the building. Above the front door is a carved relief of the scales of justice. The correctional centre was closed in 2005(? 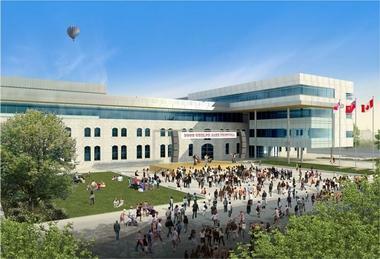 ), and will become part of Guelph’s York Lands redevelopment. 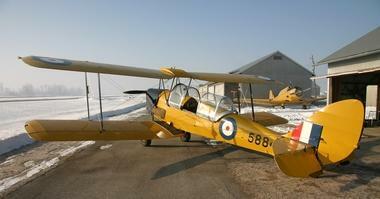 Established in 1970 by two Canadian aviation enthusiasts (the “Tiger Boys”), this informal, private aircraft museum features several meticulously-restored De Havilland Tiger Moth and Fleet Finch aircraft, both of which were used extensively for training during World War II. There are 32 vintage aircraft, a myriad of aviation artifacts, and numerous model aircraft at this unique site in Guelph Airpark (1954). I was up early on April 4 for another Saturday Royal City Rag; filling in for my good friend Alden Hadwen, host of Chelsea Morning on CFRU 93.3fm (Saturday mornings 7-9 a.m.). Alden’s Chelsea Morning is a wonderful music show featuring singer-songwriters with poetry “on the half-hour” while Royal City Rag in its Wednesday slot (6-7 p.m.) is predominantly a spokenword show heavy with community content. 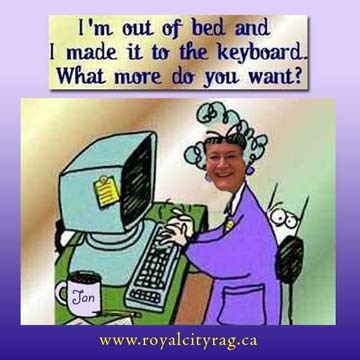 Saturday Royal City Rag is a nice blend of the two. During the first hour we talked to Chantelle Leidl, from Guelph Environmental Leadership, about the Spring Ecomarket, taking place in Old Quebec Street later in the day, with over 25 exhibitors providing practical and green ways to live. Later in the hour we played an interview with Sid Ryan, President of CUPE Ontario, recorded on the Unbottle It tour (with Maude Barlow) about why we should all ditch bottled water. The Council of Canadians are encouraging everyone to say no to the bottle and make the pledge to support publicly owned and delivered water. 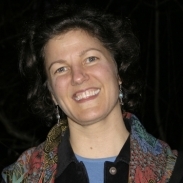 In the second hour we aired a truly inspirational interview recorded with musician and environmental activist Sarah Harmer, at the recent Environmental Science Symposium. And finally, we chatted to Guelph heritage activist Susan Ratcliffe about Doors Open Guelph coming up on Saturday April 25, and, this year, including an opportunity to nose around the new City Hall! It turned out to be a pretty busy show. We hope you enjoyed it. I’ll be filling in again for Alden Hadwen, my good friend and host of Chelsea Morning on CFRU 93.3fm (Saturday mornings 7-9 a.m.), on April 4. We’ll be playing some relaxing music to get your Saturday started. We’ll also talk with Chantelle Leidl, from Guelph Environmental Leadership, about the Spring Ecomarket taking place in Old Quebec Street on Saturday from 10.00 a.m. – 4.00 p.m. The EcoMarket will kick off spring with over 25 exhibitors providing practical and green ways to live. Information… Innovation… Inspiration… everything you need to green up and decrease your impact on the environment! Later in the show we’ll chat to heritage activist Susan Ratcliffe about Doors Open Guelph coming up on April 25, and, this year, including an opportunity to nose around the new City Hall! Promises to be a fun show. Hope you can join me! 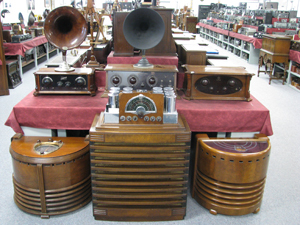 Listen live on CFRU 93.3fm, Guelph’s Campus and Community Radio Station or, after the fact, via the website.